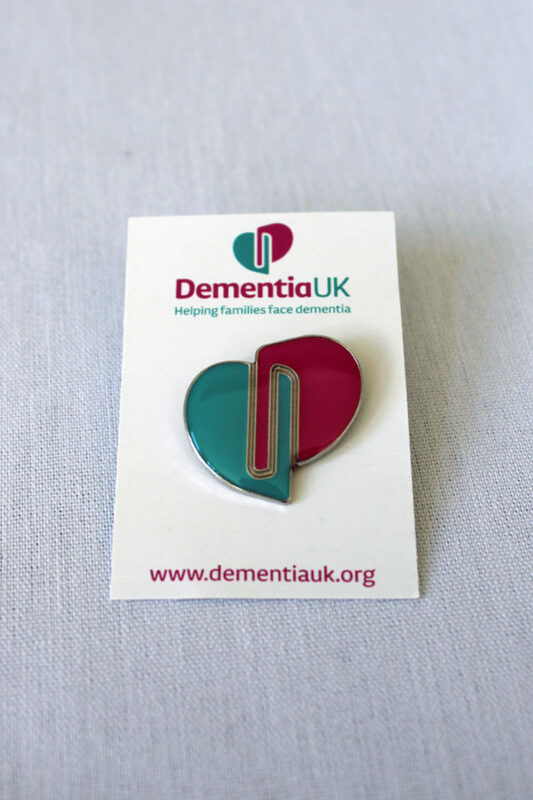 Whatever the occasion, these pretty pin badges in the Dementia UK colours are a unique way to support the charity. The metal badge has a secure butterfly clutch fastener and has a soft enamel finish. All badges come on a cardboard backing card. Dispatch time: 3 working days. Suggested donation per badge is £2 – please enter your chosen donation amount per badge below. Please note: if badges are ordered with place cards, they will all be posted at the same time, i.e. 14 days dispatch.